Hello all, i m 31. 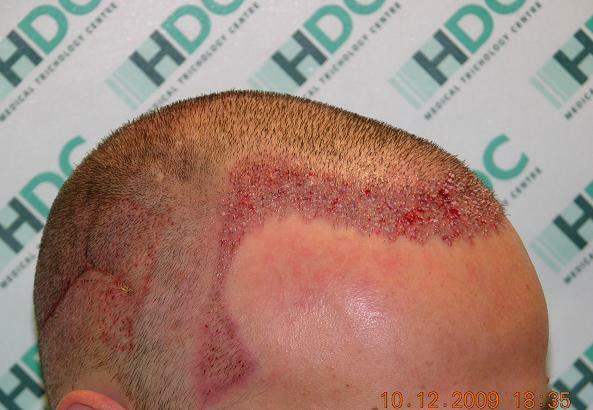 I recently had with the HDC Medical Trichology Centre of Nicosia, Cyprus. very friendly and most of all, of a very high quality. 1533 FUE grafts placed on the crown area (over 2 days). And then 2768 Strip grafts, on the third day. 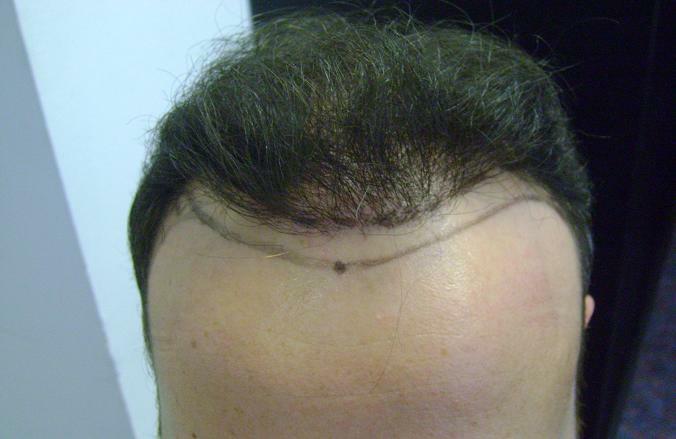 First of all I have to say that this was not my first experience of a hair transplant. I lost my hair pretty early on in life, therefore at one point I was completely bald. My first experience was with a plastic surgeon in Italy (am not gonna name names as you can probably deduce that I am far happier with the superior treatment received by HDC). It’s not that I was totally unsatisfied with the results I had obtained, but there were, nonetheless, some gnarling issues. One of the things that had bothered me the most was the fact that the surgeon had been reluctant (both times) to follow my request as far as the frontal hairline should have been designed. He was adamant that his way would have definitely looked better than my personal preference. But as you can see, it ultimately turned out that the hairline was way too high and it looked like I was receding (all over again!). Therefore I decided to try elsewhere. I started making enquiries, on the various forums etc, the name HDC kept popping up. I did further investigations, and found that all the independent reviews that had been made of this company were of an extremely high level. Also, I couldn’t find a single negative review anywhere on the various websites, blogs and forums regarding it. So I thought: “These guys must be good”. Anyway, I decided to phone up and make an appointment. The HDC London consultation office is based within “The Regus Euston”, not far from Regent Park. Wow! I thought I was walking onto a Terminator movie set. It’s a huge building, incredibily futuristic and classy. I thought to myself “Uhm, this is a good start…” Also it is really easy to get there as Great Portland Street and Warren Street tube stations are literally 50 yards away. Anyway, I was instructed to go up to one of the upper floors and here I was welcomed by Alex. That is of course, if you go to the London office. There are other coordinators in Spain, Italy etc but if you go to London, it’s Alex. I guess one of the awkward things you could say about having a hair consultation is the fact that you are exposing a very personal defect to a complete stranger. But not with Alex. He’s a bit like a big brother, extremely friendly and humble and he puts you at your own ease in no time. Not to mention that I found the whole consultation very professional. 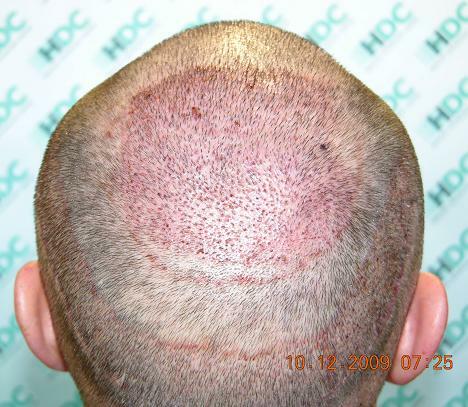 Alex looked at my previous scar and within a few minutes he had already calculated the number of grafts I would have been able to extract from the rear doner area according to the density of the remaining hair follicles. He was willing to give me a full presentation regarding the strip method but, as I had already had that operation done twice before, I already knew the ins and outs of it all. So we skipped that part. I had a series of questions about the FUE procedure and the possibility of combining the two different methods and he was able to give me clear-cut answers regarding any doubts I had. He showed me pictures of previous clients and also material regarding the clinic in Nicosia and how it actually operated. We then discussed my needs and what I actually wanted to have done. I told him that my biggest concern was the frontal hairline and also the empty crown area. With regards to the design of the frontal hairline he actually allowed ME to design what I actually wanted to have done and he happily agreed that it would have been possible. He told me that the whole package would have included the flights to and from Cyrpus, a taxi cab to take me from the airport to the clinic and back, and also that there would NOT be any hotel fees for me to pay because (and this is the best part…) the clinic has its own appartment which is situated literally 10 yards away. A few weeks later I boarded a Cyprus Airways plane at Heathrow airport (very handy if you live in London because the Piccadilly Tube line takes you straight to Terminal 1) and landed at Larnaca airport a few hours later. Larnaca airport is a brand new airport and very well equipped, so that also got a thumbs up. When we arrived in Nicosia it was evening. The taxi driver helped me with my bag and he showed me up to the appartment, which like I said, is literally oppposite the clinic. Here I met a fellow patient (we’ll call him… Paolo), a really nice guy from Italy who had just had his first session of FUEs done that day. Anyway, the appartment itself consists of a large lounge area with cable Tv, a kitchen area with all mod cons and a free supply of mineral water, two bedrooms, a bathroom, as well as two balcony areas overlooking Nicosia (very pretty at night with all the lights). A) in comparison to other clinics, just after you’ve had the operation, you don’t have to get on a bus, train or even walk a mile or two to get to a hotel. I mean it is literally 10 steps away. B) Privacy. You don’t have to walk into a busy hotel lobby with bandages around your head, with a hat awkwardly slopped on your head, trying to cover up a fresh scar, and ask for a key to your room. C) There is a special medical chair in the appartment which I found extremely handy. I don’t know how to describe it, but it’s a bit like a dentist chair which has the ability to recline at a myriad of different angles and which is just perfect if you’ve just had a strip operation done or even just some simple FUEs on the top part of your head because you are not allowed to recline supine the first night. I remember my previous operation, being in a hotel room trying to put all sorts of cushions and towels under my neck and trying to adjust the mattress in a position that would allow me to sleep at a 45 degree angle. What a nightmare. With this chair instead, you just push a button and the whole thing goes up and down, back and forward, until you’ve found the right position to sleep in. E) Just around the corner from the appartment there are three grocery stores. Two of them are open 24 hours a day and they sell everything you could possibly need, especially freshly baked breads and in-house meals. I have to admit, the food was very good indeed. Anyway that first night, I got to know Paolo a little better and I also received a phone call from Alex welcoming me to Cyprus and confirming the time of my first FUE operation for the following day. The next morning I was at the clinic. I got to me meet all the staff - Doctors, technicians, nurses and they were all very lively and friendly. Alex was also there to greet me. The first thing they did was to take some photos of me. Then they proceeded to shave my head and wash my scalp. After that, we spent some time “designing” the frontal part of my head-line. Compared to my previous operations, this was a much more “relaxed” approach in that the doctors wanted to make sure that I was 100% happy with the outline they had drawn. This was a very agreeable situation as I felt like I was in total control of my “destiny”. However they did advise me that because the side-parts of my hair (just above my sideburns) were also receding, perhaps it would have been a good idea to also add some grafts in those two spots in order to make the whole look appear as natural as possible. I quickly realised what they were referring too and I agreed that it was indeed a good idea. I was made to lie down on a reclining chair/bed and, whilst listening to the radio, they (the technicians) proceeded to insert the grafts. In all fairness, I remember the whole experience as being rather soothing and I actually did fall asleep a couple of times. I was also fed twice during the day. I had breakfast and full lunch, with fruit juice a staple. The one thing that I feel has to be mentioned is that this clinic “specialises” in hair transplants. 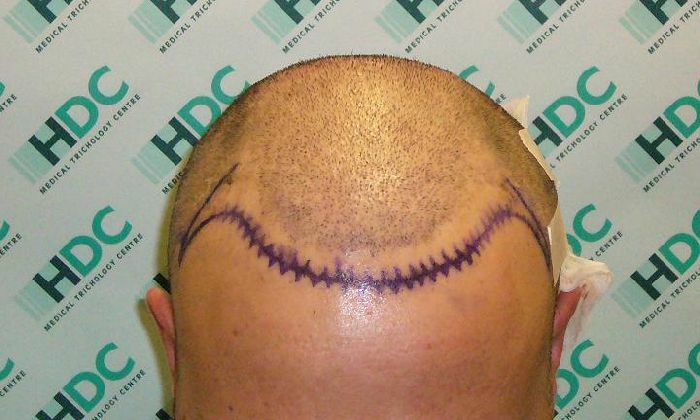 It’s not like other plastic surgeons who do all sorts of surgery but then as a plus get involved with hair transplants. HDC have a highly efficient and well-oiled system in place according to which everything is done methodically and nothing is left to chance. The entire team work in unison and this organisation allows them to actually have two operating rooms where they can operate on two patients at the same time (in fact each day Paolo would be in the one room and I would be in the other). I say two operating rooms, but it may well be three at this point. That’s because just before I left Cyprus, they were in the process of furnishing a third operating room. The FUE operation lasted until around 15:00 hrs. After that they covered the rear area of my head with a special cream. I was given a full explanation of what I was supposed to do that evening as well as a zip-bag kit with the medicines I would need to take that night. After that, it was time for me to go back to the appartment and rest. And so for the rest of evening I just relaxed and made myself at home. 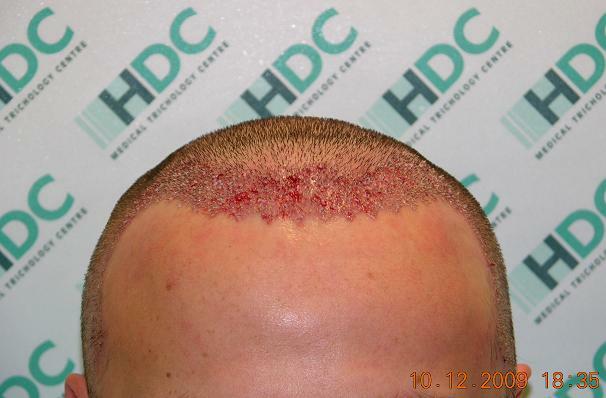 To be fair, with the FUE procedure there isn’t really much if not any bleeding at all. I didn’t feel dizzy or anything after the operation and if somebody had invited me to go and play golf that same evening I most probably would have accepted. The following day was pretty much a replica of the previous day with more FUEs added to my crown area. Once again, everything ran extremely smoothly and that night I slept like a turtle. I replied “What do you mean… ‘All done’?”. He had in fact already completed the cutting and stitching of the rear doner area. I hadn’t felt a thing! He told me that he had purposefully avoided telling me when he was going to start the actual operation in order for me not to get apprehensive or anxious in anyway. And he was right!! After that it was business as usual, with me lying on the operating bed, listening to the radio and falling in and out of sleep. When the operation was over (around 17.00), I was allowed to look in the mirror. I was immediatley pleased with the result. The frontal line was EXACTLY the way I wanted it to look. They took some more photos of me and then I was given further instructions for that night and some more medicine. The following morning, myself and Paolo returned to the clinic to have our hair washed by one of the technicians. We were due to stay in Cyprus for a further 4 days and this was undoubtedly another one of the great pluses of the whole package. What it means is that the days immediately following the operation (the most important ones) your scalp is being shampood twice a day by qualified technicians who know exactly what they are doing, so there is no risk of YOU trying to wash your hair in your bathroom, applying the wrong pressure to the grafts or perhaps scratching your head when you shouldn’t, thus increasing the possibility of the grafts being dislodged. So for the next four days myself and Paolo would return to the clinic once in the morning and once in the late afternoon, giving us plenty of time to go out and visit Nicosia. Like I said, it turned out to be a great vacation. On my final day, and with great nostalgia, I said my farewells to all the team and, as arranged, I was collected by the taxi driver who took me back to the airport. I flew out that afternoon and the next thing I knew I was at home, remembering the good times I’d had. Looking back at the whole experience, I struggle to find a single thing that I could complain about. 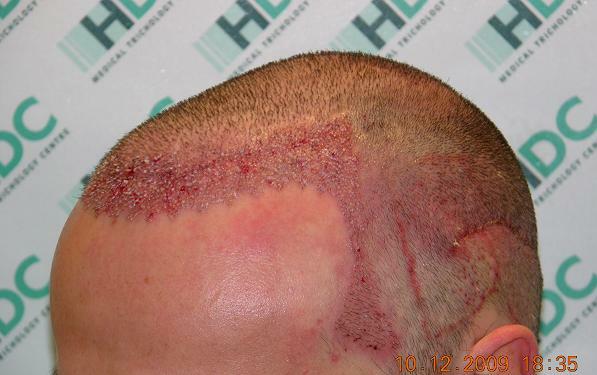 As a matter of fact I would STRONGLY advise anyone wanting to get a hair transplant to choose HDC as they are 100% reliable, extremely professional and most importantly very very friendly. 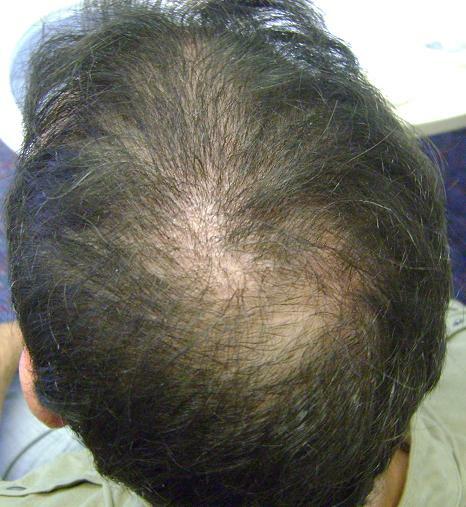 When considering a hair transplant one has to weigh the pros and cons. As far as I’m concerned, the less pressure and anxiety there is the more you will enjoy the experience. What I mean is that by taking 7-8 days off from your normal life, and just leaving behind all your stress and anxieties to spend some hassle-free time on a beautiful Mediterranean island where nobody knows you is the perfect solution. Add to that, the level of competence and professionalsim you will receive by those taking care of you and you couldn’t ask for more. So, to sum up everything, I want to provide you with a personal judgment of what is was like for me, and that is one word: Excellent. The HDC clinic is without a doubt a 5 STAR deal. If you feel like asking me any questions, there’s no problem. P.s - Below are some “immediately after” photos. Who was the doctor who actually did the surgery for you? you never got to meet with the doctor before the surgery? » meet with the doctor before the surgery? Hello Ipod, at the HDC clinic we work as a team instead of individual, we have 3 doctors and all of them work together in all the cases, the team can be easily formed by 11 people including doctors and assistants. Now concerning the case of Lambreti I would say that it looks very nice and thank you for the extensive report, now is time to wait and the changes will appear without notice, I had a procedure 3 months ago and it seems that are moving well, maybe Ill post my case here. Once again, thank you very much for the detailed report and we are at your service.